An arts village breaks out again this weekend in downtown Gatlinburg on the campus of Arrowmont School of Arts and Crafts, as the 100-year old school stages its FREE arts festival for the tenth year running. The festival runs Friday through Sunday, October 3-5, 2014. Literally just a step off the sidewalk at Traffic Light #5 in the middle of Gatlinburg, the tranquil campus of this internationally renowned fine-arts school gives way to a host of tents and booths showcasing the works of artists from near and far, selected by jury for the highest quality artisanship. Expect to hear the sounds of Appalachian music throughout the three days as you stroll through the festival site. 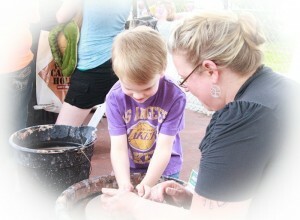 Food vendors will be on hand to accommodate both starving artists and art lovers. Attending artists and crafters will again provide countless hours of live demonstrations of their techniques, across a huge range of media. 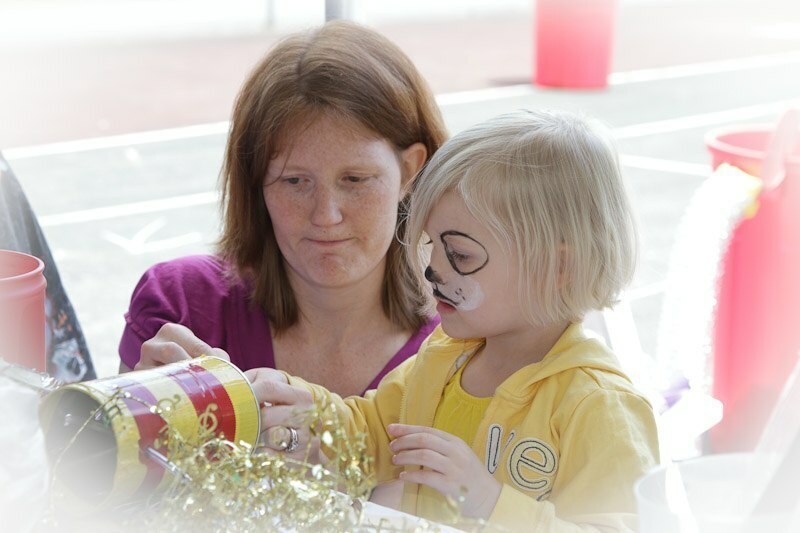 Children once again are treated as the special artists they are, with a Kids Area behind the main site, deeper on campus and away from the road, where they can revel in a number of activities – including face painting of course! This year’s festival marks an exciting milestone with a new program developed to help the next generation of artists. Called Next Gen, the program features striking art from high-school students, and offers mentoring in the non-intuitive area of preparing art for the retail market – that all-important matter of how to sell your work as an artist. 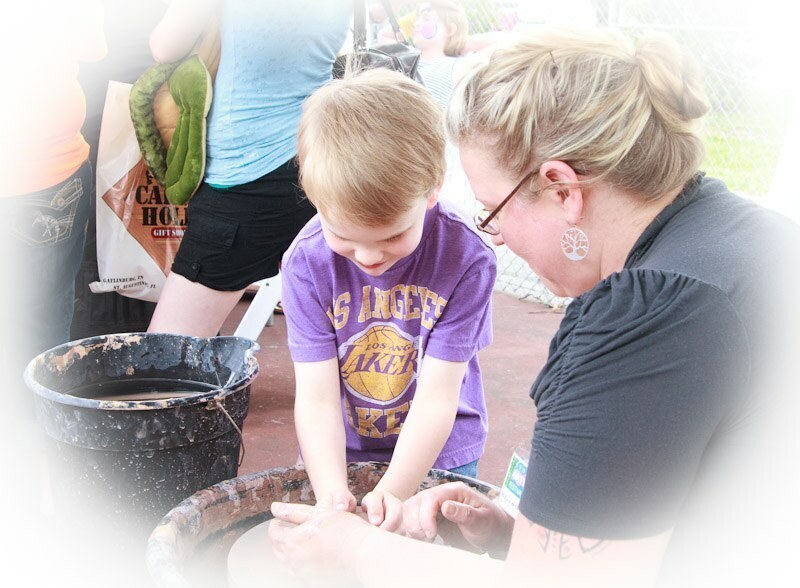 For more information check the Gatlinburg Fine Arts Festival web site, or just get off the trolley at Light #5 Friday through Sunday and go with the flow! The Arrowmont School of Arts and Crafts began a hundred years ago as one of the Appalachian settlement schools that preserved and taught our regional culture. Now it’s a renowned visual-arts education center with an acclaimed faculty. 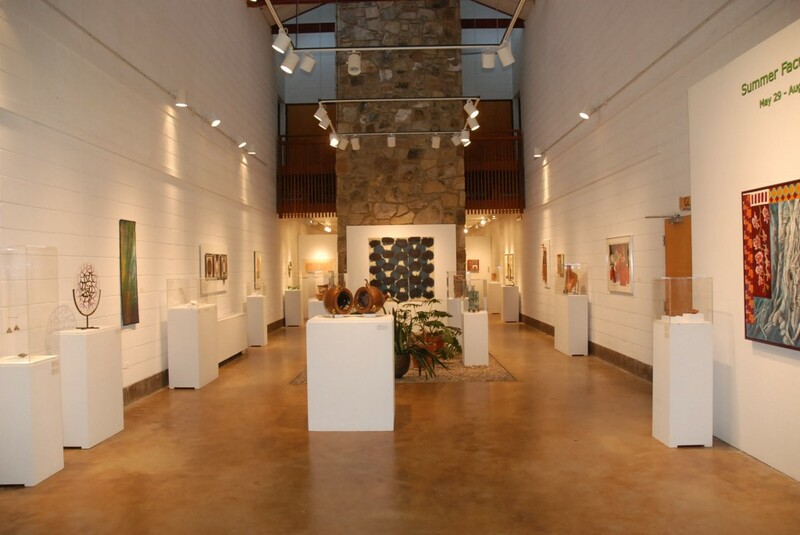 The school offers different learning formats including weekend workshops, and a visit to the campus and gallery is a great thing any time you’re in Gatlinburg.